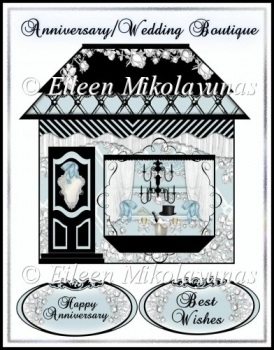 You will receive this Lovely Marriage Boutique with two different Sentiment Decoupage Elements to Celebrate a Couples Special Day. A Top Hat for Him and a Tiara for her and Champagne to make the Moment Special! What a Great Embellishment for all of your Paper Crafting Needs! Enjoy!